I figured I would continue the trend of showcasing ugly video game related clothing and shove this beauty into the limelight.Â This Nintendo Sweatshirt was made in 1988 and is an officialy licensed product.Â The trophy on the front shows off the spoils of being a self-proclaimed ‘champ’ as the arms scream out in silent glory exactly what you are apparently a champion of–The Legend of Zelda and Punch-Out!! I can only imagine some kid wearing this to school with pride only to be beaten down by the resident school bully and then laughed at during gym class when they couldn’t do one single pullup.Â They would sadly make their way home where their parents were eagerly waiting for them to hear about how their day went.Â “Cheer up Champ!” their dad would say after the day’s events were related to him in horrific detail.Â “Lets get in a round of Punch-Out!! before we eat dinner.Â Your mother made meatloaf tonight–your favorite!Â And don’t forget, you’re the Champ here; your shirt says so!”Â Ah, fond memori–I mean–uh…what a cool shirt! –Nintendo Control Center Storage Organizer:Â The first time I’ve noticed one boxed. –Life sized Bob-omb Statue: Hand-made and expensive, but a nifty idea!Â Extra points if anyone makes one that’s functional! –Mario Frisbee:Â I’m 99% sure this event had no involvment with Nintendo, but it’s still a nice looking frisbee! 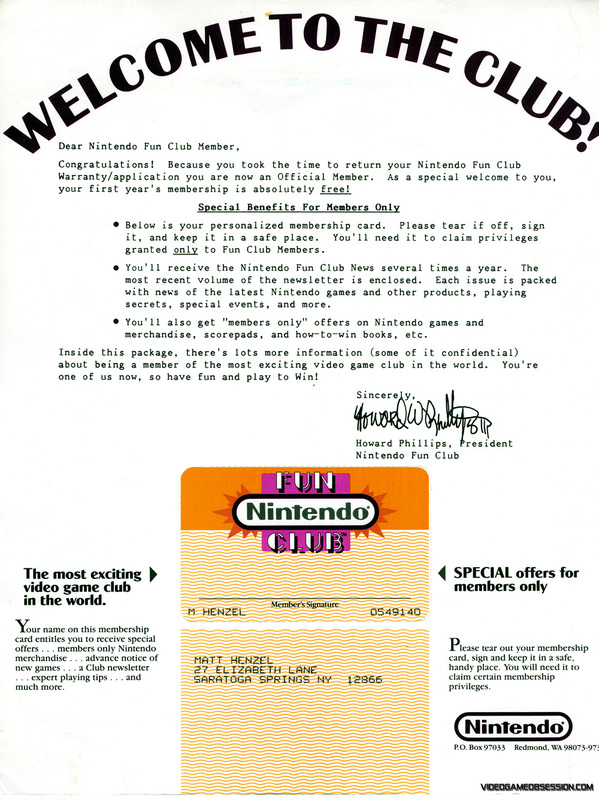 –Nintendo Fun Club Promo Package: This was the first issue of what eventually became Nintendo Power Magazine.Â Includes EVERYTHING originally sent, even the membership card unpunched and unsigned. 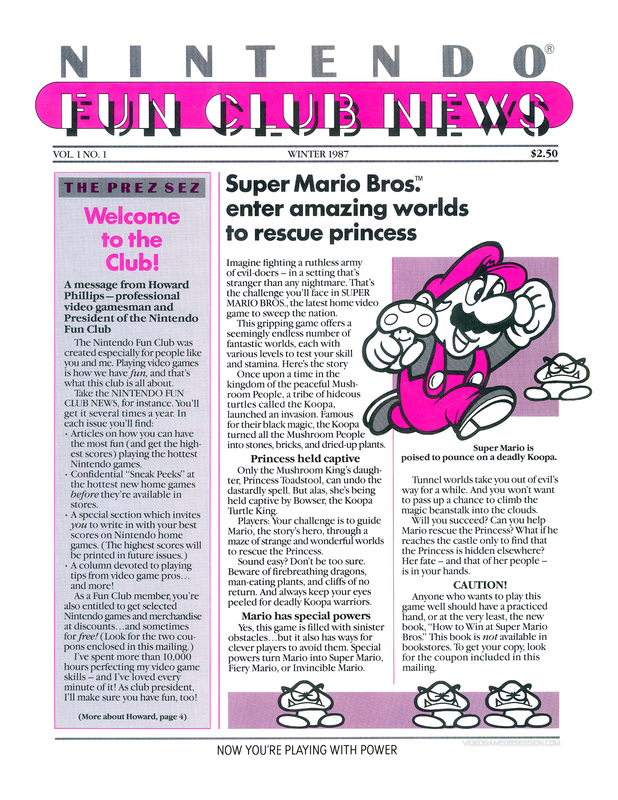 –Nintendo Product Guide: This does pop up from time to time, but still nifty! Is this epic or horrible? Im undecided.